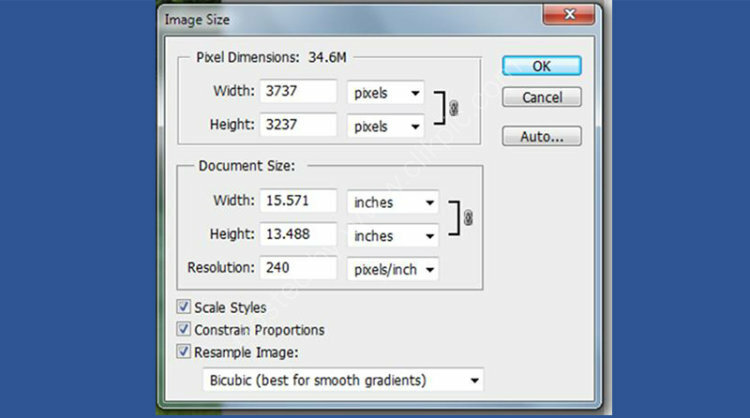 Resizing your image to 1400 x 1050 and set the colour space profile to sRGB. All digital images will be judged at a resolution of 1400 x 1050 pixels. The 1400 is the width, making the image a landscape format. Firstly, you should resize your image to this dimension. You will probably want to maintain the proportions (aspect ratio) of your image, so you may choose to add a background colour to fill any remaining space, this is easy to do and is explained later on. 5. Finally remember to set the colour space to sRGB.